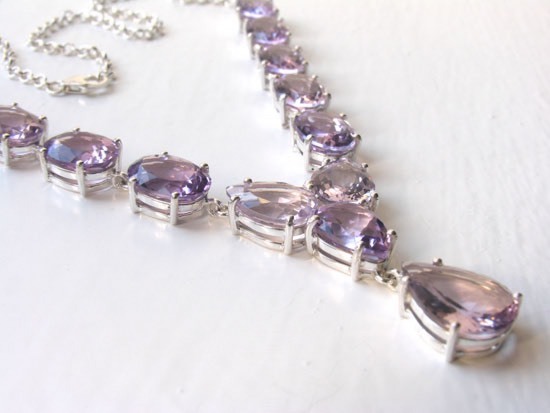 Amethyst necklace in sterling silver. 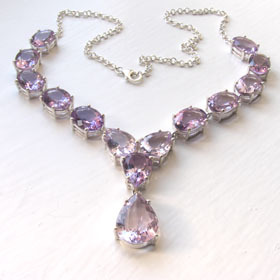 Featuring 14 crystal clear, diamond cut amethysts, this exquisite amethyst necklace is a show stopper. 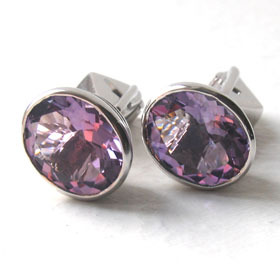 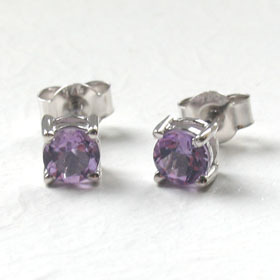 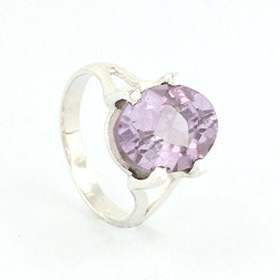 These gemstones are flawless and brilliant, radiating soft lavender sparkle from every facet. 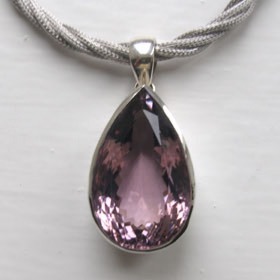 The ovals and the central pear shaped amethysts are a fabulous lavender purple shade and these are complimented with 3 pink amethyst pear drops above and below the central pear drop. 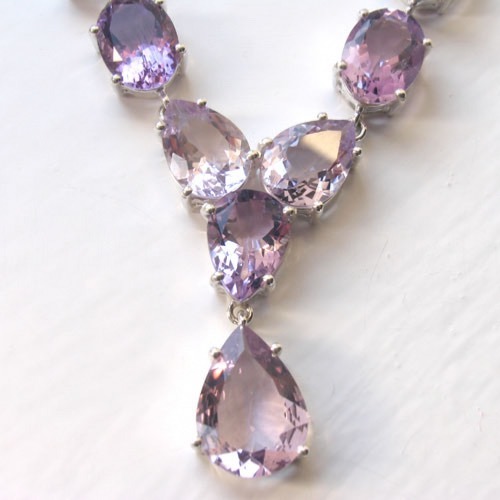 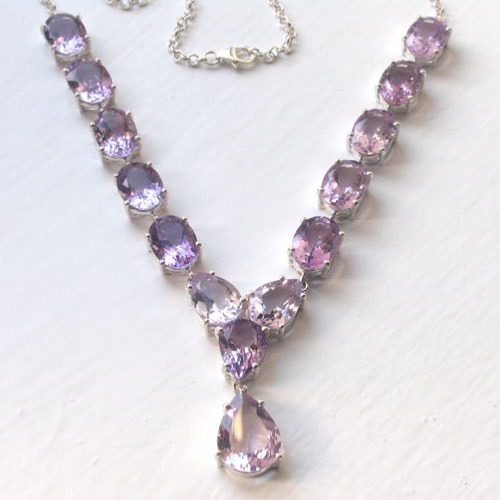 The gemstones are large and make this necklace a glamorous and unforgettable piece of amethyst jewellery. 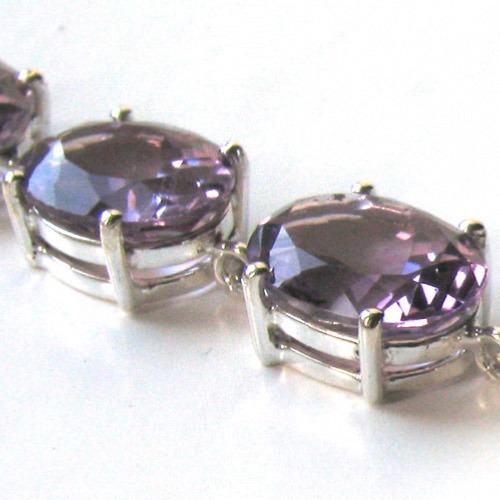 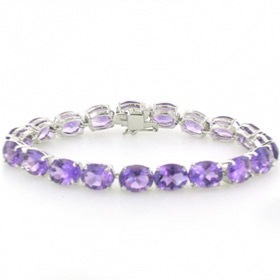 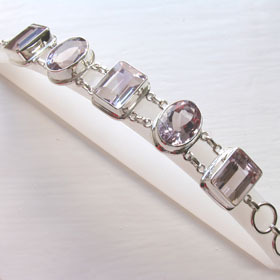 See our collection of amethyst earrings and amethyst bracelets to make up a set. 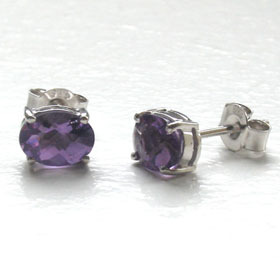 Your amethyst jewellery will be lovingly packed and boxed free of charge.